At least three volunteers are on duty at all times, which means we need around 40-50 volunteers. Unfortunately if we don’t have this number of volunteers, the library may have to close. Volunteers are able to choose how many hours they would like to spend each time they come to help at the library, and how often they would like to do it. Allowance is made for holidays, illness, etc. If you would like to volunteer, please click on the link below to download an application form. Or if you would just like to find out more - and we'd be delighted to hear from you - please click here to email us. We held five Volunteers' Coffee Mornings during 2017 and have held one so far in 2018. 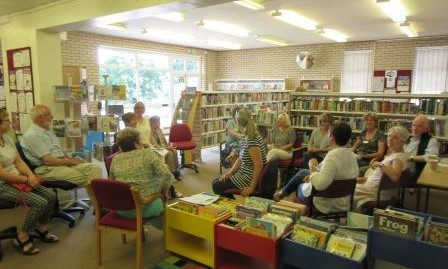 They were excellent opportunities to meet other volunteers, discuss experiences at the library and hear the latest news on the launch of the Community Library. . 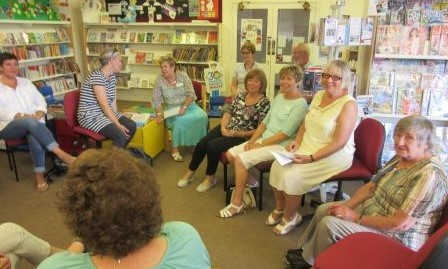 The next Volunteers' Coffee Morning will be on Friday, 9th February between 10.30am and 12 noon. If you're a volunteer, or would like to become a volunteer, just drop in to the Library and meet the team and also our colleagues from Herts Library Services. We really look forward to seeing you.